When a relative or friend passes away, it’s only proper to be present at the funeral and show respect. Even when the deceased is someone you don’t personally know, you show sympathy to others for their loss. 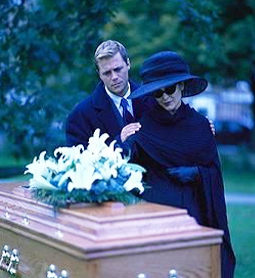 Funerals can be a very difficult time for everyone. Sometimes we find ourselves at a loss of what to say due to the shock of the person’s passing or for fear of saying something inappropriate. I know how much she was loved by everyone who knew her. We will all miss him very much. She was such a sweet woman, and everyone who knew her will miss her very much. For more funeral etiquette, visit here.